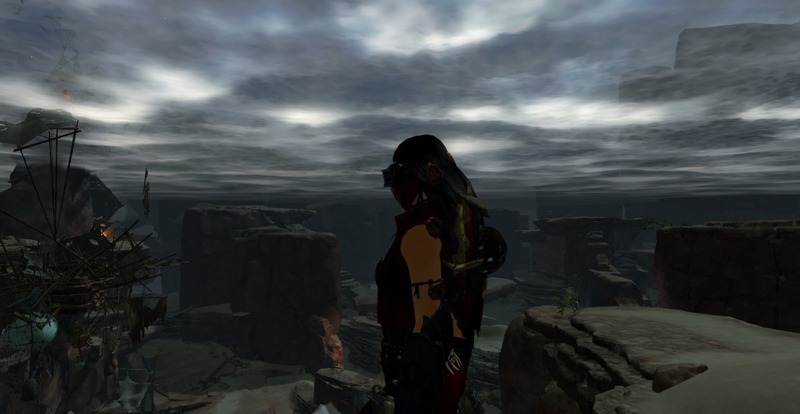 We've got vistas all over the place in Tyria. From the Heart of Maguuma all the way to the Iron Marches and Blazeridge Steppes, as far north as Frosgorge Sound and as far south as the Cursed Shore. And we'll obviously get more as more of the map opens up. But there's a lot of really great places to get to that aren't vistas. Places that have opened up even more now that we've got the opportunity to glide into places we might have had a lot of difficulty jumping to. This thread is to post your favourites. There can be more than one. Here's a couple of mine, both in Dry Top. I really really love the aerodrome and the amount of detail that's gone into it. So here is a small view, of the wall at night, from the tip of that airship you can glide onto. Definitely the top of the Gilded Hollow guild hall. My eyes!!!! When you jump the fence and see the Pale Tree in the distance. So gorgeous. Ebonhawke is just as great. I don't want this thread to die, because scenery is the best, so here is Lost Precipice! It's so perfeeeeect. The upper level of DR at night's always captivated me, for one. 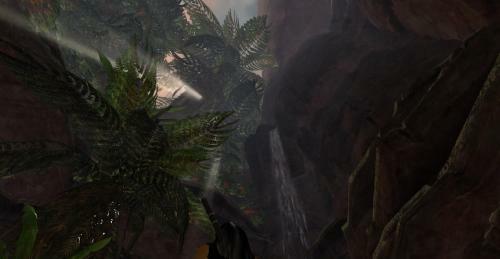 Auric Basin at dawn is also wonderful. I've always been partial to the hidden strawberry farm near Nolan in Diessa Plateau. Godslost Swamp, waiting for Shadow Behemoth! Left out the happy norn bouncing around on a broomstick.